It’s super easy to feel jaded about dieting and diets. To be put off by the cacophony of conflicting advice from doctors, nutritionists and the assortment of other various health experts. But before you dismiss the Paleo diet as just another fad, be assured that the Paleolithic diet is legit and nothing new. This is one diet you shouldn’t allow to get lost in the sea of diets out there. The Paleo diet made a shy comeback in 1985 after scientists reported that one of the reasons why modern society is affected by a myriad of health issues is that we’ve strayed very far from the diet our remote ancestors used to consume 1. 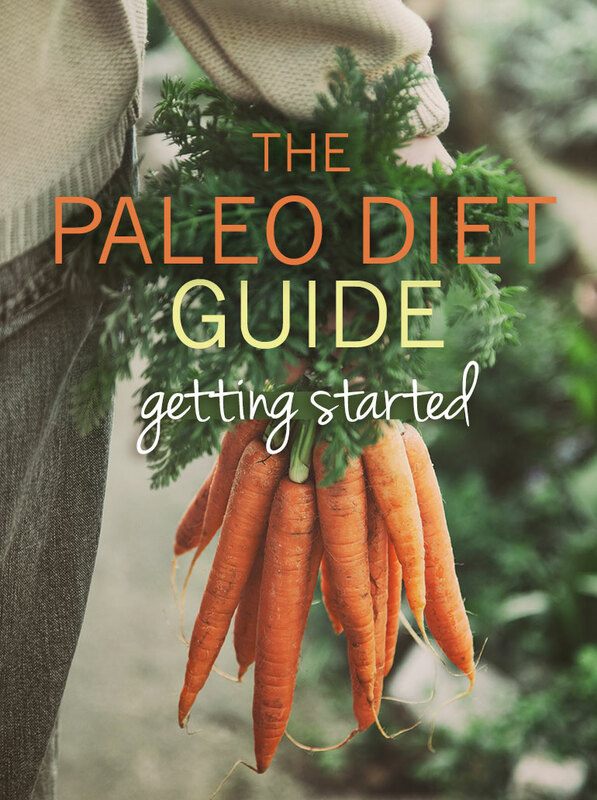 As the name suggests, the Paleolithic or Paleo Diet is all about the nutritional habits of our Stone Age ancestors who lived tens of thousands of years ago. But why should you care about ancient nutrition when you live in a digital era and have high-tech medicine as standard? Because no matter how much we’d like them to be, our bodies are not a smartphone. You can’t update the software or upgrade to the latest model. Our bodies are essentially, as they have always been for thousands upon thousands of years. Juxtapose this with the massive and rapid changes in our eating habits in recent times, and you know we’re heading for trouble. And guess what? Our bodies are failing to keep up. Skeptical? Then picture the average human in the Paleolithic era. They would have been physically robust, fit, lean and athletic (so basically everything we crave to be today). Now, flick your head to the left and then flick it to the right. Odds are you’re looking at someone who’s overweight. The unfortunate reality is that today for every person of ‘healthy’ weight there are two people who are overweight or obese.8 The new normal is overweight or obesity. Something’s obviously gone terribly wrong. It all boils down to our genetic code. According to Dr Eaton, our nutritional needs are determined by our genetic make-up which has been shaped partly by the foods our ancient ancestors consumed 2. DNA research shows that, unlike our diet and lifestyle which has changed massively in recent times, our human genome has remained primarily the same since the agricultural revolution 10 000 years ago 2, 3. Scientists explain that the environment in which we live has changed too fast for our genes ‘to catch up’ 3. And research suggests that it is this mismatch between our Paleolithic genome and the way we eat and live which is behind the escalating incidence of inflammatory conditions, obesity, heart disease and diabetes 3, 4. Furthermore, research on cultures that until recently consumed traditional diets and transitioned to Western eating habits seems to back this up.7 With research suggesting that these cultures boasted a low incidence of chronic illnesses such as heart disease and type 2-diabetes until switching to a more Westernized diet. ‘But didn’t the cavemen have a short life-expectancy?’ I hear you ask. Yes, but that’s mostly because they got eaten by wild animals or died due to infectious diseases. Not because of chronic diseases plaguing us today 1. Plus the hunter-gatherers didn’t have access to a state-of-the-art emergency room. The basic principle of the Paleo diet is that we need to stick to foods for which our DNA is ‘programmed’ 2. In a nutshell, the Paleo Diet revolves around the concept that our overall health would improve if we consume foods the cavemen ate – read fruits, veggies, wild lean meats and seafood, nuts and seeds as well as healthy fats – while steering clear from foods our ancestors wouldn’t recognize. In other words, the Paleo diet promotes the consumption of minimally processed whole foods and the avoidance of dairy, grains, legumes, alcohols and anything produced by the food industry. Reduce blood pressure and improve blood circulation in the body 3. Improve blood lipid profile – subjects experienced a drop in triglycerides, total and LDL- cholesterol levels 3. Promote weight loss – during a 3 week trial, volunteers lost an average of 2.3kg and their waist circumference decreased by 0.5cm 5. Several health professionals vehemently oppose the Paleo diet claiming that these studies were very small and that it can lead to nutritional deficiencies since it excludes dairy and grains. But I have yet to come across a case of gluten deficiency. However, that said, the Paleo diet is entirely customizable, and you should tailor the diet to suit your needs. For example, people often include dairy. You might call them ‘lacto-paleos‘. Cost. While it’s true that grass-fed beef costs more than hot dogs, and organic produce can be quite expensive, isn’t it wiser to invest in healthy foods instead of pills and (possibly) a myriad of future surgeries? One-size-fits-all. When it comes to nutrition, there’s no one-size-fits-all approach. So, for the Paleo diet to really work, you need to personalize it. One way to do this is to eliminate one food group at a time for about a month and slowly reintroduce that food in your diet. If you notice that specific symptoms start reappearing, you may be better off avoiding that food group as much as you can. Unnecessarily restrictive. As mentioned, the Paleo diet discourages the consumption of legumes. However, research suggests that legumes were part of our ancestral diet 6: the !Kung San of the Kalahari desert used to rely on the tsin bean while the Australian Aborigines consumed the seeds and gum of Acacia So if you want to eat your lentils and kidney beans, just make sure to cook them properly. Who shouldn’t follow the Paleo diet? Since Paleo relies a lot on meats and veggies, individuals who need to watch their protein intake (such as those suffering from early stage kidney disease) and those on blood thinners like warfarin should work with a dietitian to come up with a personalized Paleo diet. Remember, the Paleo diet is about eating minimally processed whole foods, it isn’t about going crazy on meat. On the Paleo diet about two thirds of your diet should come from veggies, fruits and some healthy fats. Eaton, S. B., & Konner, M. (1985). Paleolithic nutrition: a consideration of its nature and current implications. New England journal of medicine (USA). O’Keefe Jr, J. H., & Cordain, L. (2004, January). Cardiovascular disease resulting from a diet and lifestyle at odds with our Paleolithic genome: how to become a 21st-century hunter-gatherer. In Mayo Clinic Proceedings (Vol. 79, No. 1, pp. 101-108). Elsevier. O’Dea K. Cardiovascular disease risk factors in Australian aborigines. Clin Exp Pharmacol Physiol. 1991 Feb;18(2):85-8. Flegal KM, Carroll MD, Kit BK, Ogden CL. Prevalence of obesity and trends in the distribution of body mass index among US adults, 1999–2010. JAMA. 2012; 307(5):491–97.